Our beloved Dr. Stephen Maturin is an anomaly in the Royal Navy, as he is a physician rather than a surgeon. 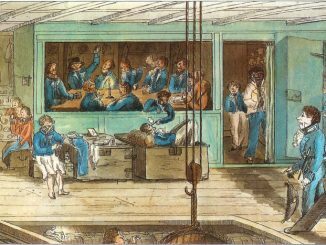 Ship’s surgeons tended to be barely educated barbers who could pull out teeth and somehow got a warrant from the Admiralty. But even physicians of Dr. Maturin’s stature (in the figurative sense, Stephen being rather diminutive in the literal sense) practiced what seems to our modern sensibilities as quite a barbaric form of medicine. Basic standards of cleanliness were non-existent, and considering Stephen’s general slovenliness it’s shocking he manages to save as many lives as he does! What follows is a thorough overview of medicine during the Napoleonic era, courtesy of the fabulous Napoleonic Guide. While much of it is phrased in terms of battles on land, the same practices would apply at sea. Sailors were rather lucky that they never had to be carried far to get to the infirmary; the orlop was only three decks down. Soldiers, on the other hand, were often transported for miles to receive medical attention. 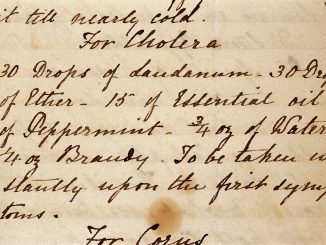 Medical services during the Napoleonic Era were basic, to say the least. There was little knowledge of hygeine, antibiotics were non-existent and the most often used treatment for serious battle wounds was amputation. If a soldier survived a battle but was wounded, the chances were high he would end up dead from infection. Troops were taken from the field – sometimes days after the battle had ended – and had to endure not only the pain of their wounds, but also thirst, flies and blood loss. Then came an agonising and jolting journey to a makeshift surgery where overworked and frequently talentless men did their best to save them. Modern readers will often be surprised at the fortitude shown by wounded soldiers who, despite fearful injuries, often walked themselves away from the field of battle. The first-hand accounts of amputations also underline the tremendous courage of the men in an age where anaesthetics simply did not exist. Instead of painkillers officers were offered rum or brandy, but enlisted men had nothing more than a piece of wood to bite on. One reports of a British soldier sitting up on a table singing while his leg was taken off below the knee. Many troops remained completely silent under the knife – it being bad form to utter a sound while the surgeon did his work – but Russian soldier were actually banned from making any sounds either when wounded or being operated on. Another tells of watching a British officer swearing for 20 minutes while the surgeon struggled to remove the limb with a saw blunted through overuse that day. At the end of it, the man then thanked the surgeon. “I must confess I did not bear the amputation of my arm as well as I ought to have done, for I made noise enough when the knife cut through my skin and flesh. Mind you, one brave soul probably took things too far when he used his own just-cut-off arm to beat into silence a Frenchman complaining when he was being treated for a musketball wound. The descriptions of bloody sawn-off arms, hands and legs being callously thrown out windows near wounded troops waiting for their own amputations are terrible indeed. Even more terrible are the statistics that show of all the men who underwent post-battle amputations, only a third of them survived. The horrors of amputation can only be imagined but the thought of being held down by surgeon’s mates while having an arm or leg sawn off brings shivers to the spine. However, amputation was the only real choice for soldiers who had suffered badly broken bones that left little hope of saving the injured limb. Some surgeons believed waiting for a man to recover a little from the actual wound before amputation was the best course of action, while others – Dominique Larrey in particular – advocated immediate amputation. While that sounds a little hasty, Larrey was a skilled surgeon who knew when a soldier had a good chance of recovery with his original injury and when he wouldn’t. And by acting while the man’s body was often still numb around the wound, healthy tissue could be sliced through with much less pain. A man in shock would also have lower blood pressure and that reduced the flow of blood. A third – and possibly the most valid medical reason – was amputation would remove a filthy, disease-welcoming wound and usually lead to a rapid recovery. Once held down, the wounded soldier had a leather tourniquet tied about 8cm (3 inches) above the place where the cutting would be done. A knife was then used to slice down to the bone, arteries pinned out of the way and then the surgeon would begin his work with the bone saw. There were two main types of saws used, a larger one for cutting through the thigh bone or femur, and a smaller one for the lesser leg bones and arms. Usually, the sawing would take under a minute to complete. Next the arteries were sewn up and linen bandages were applied and then the stump was covered with a wool cap. Ragged wounds would be treated by using a butterfly bandage, which was made of sticking plaster and bandage. It was first attached to one side of the wound and drawn tightly to meet the other side and then being stuck to that. A bandage would help keep everything in place and allow the wound to heal together. Stitches were made from cotton thread or sinew and were used to pull together larger wounds. Bayonets, swords and knives left deep puncture wounds were usually fatal if they were in the chest or abdomen as there was little the medical staff could do about them. To treat these surgeons often let the wound bleed for a while to clean it of dirt or clothing material and in many cases actually increased the width of the injury to boost the exit of unwanted matter. Even slight musketball wounds carried the deadly potential of infection as the projectile would take with it small pieces of uniform, as well as dirt. If it hit bone then the resulting splinters added to the bacterial danger and there was always the risk of straight out just bleeding to death. 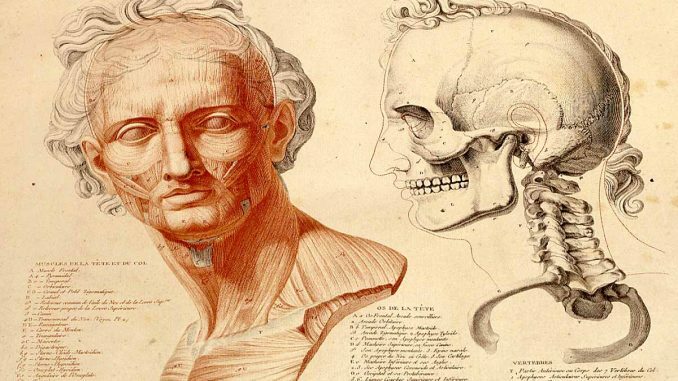 Deeply embedded musketballs – below the depth of a surgeon’s finger – were regularly left inside the body and allowed to work themselves into a shallower position. Many veterans carried the leaden balls inside them for the rest of their lives. Basically hygeine, as we know it today, did not exist. Hospitals and treatment stations were overcrowded, poorly ventilated and filthy. Few soldiers had any idea of personal hygeine and no thought was given to sterilising instruments. Surgeons would reuse the same scalpel, saw or set of needles over and over again and if they washed their hands it was only in a bowl full of water that soon became almost as filthy as the instruments themselves. There were no disinfectants and surgeon’s smocks or aprons served nicely as initially a thing on which to wipe their hands and then as the perfect breeding ground for germs. 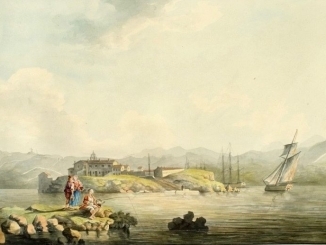 Image by Jean-Galbert Salvage, 1812. Courtesy of Dream Anatomy.